Early-bird registration has been extended to Friday, February 23, at midnight at Split This Rock's website. Visit the registration page to register now. Javier Zamora was born in La Herradura, El Salvador, in 1990. He is the author of Unaccompanied (Copper Canyon, 2017). He holds a BA from the University of California, Berkeley, where he studied and taught in June Jordan’s Poetry for the People program. Zamora earned an MFA from New York University and is currently a 2016-2018 Wallace Stegner Fellow at Stanford University and a 2017 Lannan Fellow. He is the recipient of scholarships to the Bread Loaf, Frost Place, Napa Valley, Squaw Valley, and VONA writers’ conferences and fellowships from CantoMundo, Colgate University (Olive B. O’Connor), MacDowell Colony, Macondo Foundation, National Endowment for the Arts, Saltonstall Foundation, and Yaddo. 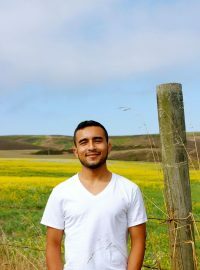 In 2016, Barnes & Noble granted him the Writer for Writers Award for his work with the Undocupoets Campaign. He was also the winner of the Ruth Lilly/Dorothy Sargent Fellowship and is a member of the Our Parents’ Bones Campaign, whose goal is to bring justice to the families of the ten thousand disappeared during El Salvador’s civil war. Learn more about Javier at his website. Photo by Ana Ruth Zamora. Erica Charis-Molling (ECM): I first encountered your poems in the ecojustice poetry anthology Ghost Fishing that’s launching this spring. So many of the poems in that book, yours very much included, embrace the personal as political, but also the land we inhabit as political. Can you say something about the connections you sense between landscape and the political, as it connects to your writing? What is important is the “surge,” where does it come from? It comes from the ground. It comes from a particular place. If we take this to be true, every place has its own individual duende. In different places it’s called something different but the idea is the same. You can call it feelin, blues, heart, soul, son, “it,” etc. If we write from a literal place, that landscape dictates the politics it has seen and experienced, the history of that physical place. ECM: Unaccompanied is written in both English and Spanish. One of your poems says “I was ready to be gringo / speak English…” but the English in the poems is often broken or interrupted by Spanish punctuation (inverted question marks). It made me think of Paul Celan, whose fractured poems were, in part, a product of trying to write poems in German as a Jew during the Holocaust. He was trying to write about trauma in the language of those inflicting it, as in a similar vein you’ve noted “Unaccompanied is written in the enemy’s language.” Do you see your work as subverting/recreating English? And how is trying to help your readers to imagine the unimaginable/unspeakable something like the act of translating? JZ: Reading Paul Celan’s work has certainly helped me with my trauma and there are poems that his work “unlocked” for me. Before reading Celan, I always felt like an imposter, a traitor, writing about what had happened to me and my family in the “enemy’s language.” Unlike Celan, I live in the country that helped displace me from my homeland. I think that also contributed to my self-immolating attitude towards my writing when I started off. I didn’t know whether to write in Spanish or English. Celan and other poets like Zurita, Darwish, Hikmet, made it OK for creativity to flourish amongst trauma/displacement. By that I mean there was room for decisions like keeping the grammatical punctuations in Spanish. I do see these decisions (and the decision to include Spanish without translating it) as subversions towards a speaker that speaks English. I also see this decision, as you mention, as a way to recreate/revolutionize English to better accommodate for the languages it ingests via its vast colonization of the world. There is a reaction when a language interacts with another. One doesn’t completely swallow the other. I hoped to show some of this process. ECM: It seems like there’s been a lot of dislocation in your life—leaving one home very young, going through traumas that dislocated many of your memories from you, arriving to another place that doesn’t feel like home either, all of this the impact of a war you were a generation removed from. I suppose in a way even higher education and success in the literary world could be a type of dislocation. If that rings true to your experiences (and please say so if not! ), how have such experiences influenced your poetics? How this affects my poetics? I don’t exactly know. I can say that it’s strange to navigate the “world of poetry” (as it’s presented/sold to us in the United States) as a first-generation immigrant. I don’t know how that’s affecting me, but I know it is. We (People of Color) are constantly being asked to juggle more than we are capable to in the poetry world but also, and more importantly, in society as a whole. That demand or perceived demand has to have a not-so-pleasant result on us and what we highly value (for poets, that would be poetry). ECM: You’ve spoken before about storytelling or silence as a means of control (or the perception of control) for those who have been through traumatic experiences. I actually have a budding theory that negation is particularly helpful in telling such stories—that when retelling trauma it’s sometimes more possible to write “I am not,” than to write “I am.” I noticed that you actually end Unaccompanied in negation with the line “nothing has changed.” What role do you think negation plays when writing from places of trauma? Could you speak about the empowerment of telling your story or its illusion? JZ: To backtrack to my previous answer, I think the prefix dis- is very much in tune with the realities of immigrants. Negation is part of this reality. I end the book with that sentence because nothing has really changed for immigrants/refugees in this country. On the contrary, this country is becoming even more anti-immigrant/refugee. There is power in telling my story. The appearance of control in the act of writing is what first drew me into poetry. I could shape how people were talking about people like me: Salvadoran immigrants. Now, more than ever, people want to learn about “the immigrant experience.” There is something very interesting that occurs when there’s a “want” of anything. Instead of humanizing, oftentimes the opposite occurs. It’s a very fine line. I’ve been getting a lot of requests for interviews/essays since the recent announcement to cut Temporary Protective Status (TPS). Why weren’t these requests made possible before? When shedding light into this immigration status would’ve/might’ve made a real difference? Most of the time, there is a failure at humanization. Be it because of deadlines, word limits, etc. In a book, you dictate your own deadlines/word limits, etc. The private act is empowering. I’m seeing that the public aspect of having a book can sometimes be dehumanizing. There is more of an illusion at empowerment there. There is more room for tokenizing. The public vs. private. It’s a very complex line to navigate when writing about traumatic experiences. I’m still learning how to navigate it. How to guard my private space. How to stay human. ECM: You’ve noted the rising chorus of voices as more immigration poems, written by those who are themselves immigrants, are published. But you also seem very interested in “pushing the boundaries” of those narratives and conversations. Where do you see it going, in your own more recent work or in the work of others? JZ: I hope that it is not only a fad. Immigrant voices seem to have the spotlight on them, for now. I hope this is not a negative effect of having 45 in the presidency. When he’s gone, which will happen, are we going to forget about immigrants? Are we going to think everything is fixed when a Democrat comes in? Are we going to be swayed into a “post-racial” mindset like we were with Obama? A complete denial and demonizing of 45, Trump as scapegoat for all the evils of the political system. Like there isn’t a little bit of Trump in Dems and Reps. I’m very worried. I want to push the conversation toward writing immigrants without the backdrop of trauma. I’m a culprit of this, but I needed to write Unaccompanied for myself. I needed it to help me survive. In an ideal world, Unaccompanied is just the stepping-stone that will liberate me into writing something else. I’m now trying to push toward something more “complete.” I’m still trying to figure out what that looks like. I think a more complete depiction of an immigrant has a lot more joy in it. I’m not saying that there isn’t joy in my book, there’s a lot of joy in survival and trauma. Now, I want to pull joy a layer above where it is now in my poetry. Again, this is the aim. We all have aims, and then, what comes out of us is completely different. I want to be more in-tune with the physical place I inhabit. Going back to duende, I want the ground to tell me where my writing should go. I want to be able to listen. I want to be happier in my real life (outside of poetry). I’m actively seeking it. I want that happiness to seep into the page. ECM: Speaking of the next generation of writers, you’re an educator as well as a poet. Do the two careers/practices inform each other? What important lessons have you learned from your students? JZ: Writing and teaching go well together. They inform each other. What doesn’t fail to surprise me is the need for poetry in the students’ lives. It shouldn’t, but it still does. Poetry makes a difference, you can see it in the way students talk about poetry. Once the student finds a poet that resonates, life seems to have a lot more possibility, more magic. It’s a beautiful thing to notice. I think because of the route I’ve been on, the fellowship route, the academic route, this feeling of possibility, of poetry as magic, has been slowly but surely taken out of me little by little. That sounds awful to say, but academia seems to shatter poetry for poets. At the same time that creative writing minors and majors are growing across US universities, there are not enough jobs for MFA/PhD’s being created. It’s like the deans of universities just want to profit from this boom via cheap labor from poets. All across academia, the people I talk to, seem to be disenchanted with their “positions” in XYZ University. There is a lot of unhappiness in academia. There must be another way to be a poet. I think we have to find new ways to be a poet without teaching in academia. And to find teaching that values us, pays us enough to exist. And/or to exist without teaching. To simply be poets. ECM: It seems like much of what you're talking about has to do with the administration/bureaucracy of the academic environment. If we could find another way to run these institutions, one that would allow poets to be poets, as you say, I wonder if poets would then rediscover some of the magic of sharing poetry with students? Perhaps a different environment might allow a more positive flow between the two? Or is it more of the tension between public (the classroom) and private again, do you think? JZ: I think the bureaucracy of it has to do with it, but it's not the sole culprit of what I'm talking about. Yes, the administrations could be run better. I think this could happen if the funding didn't come from outside sources. Be it at private universities that have budgets paid by corporations, or at public universities where creative writing is constantly trying to be defunded, or made to run with less people getting paid less. But also, the culture of academia could be better. I think the entire idea of "producing" poets is off. 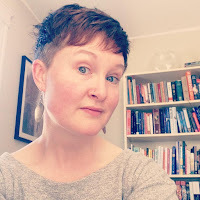 Oftentimes our teachers are in a disconnect with the poetry world as is, and the world that they knew on their way to their professorships. (My world may be at a disconnect with what my students are going through as well). We have to question what it means to encourage publication at such a short age. Surely we can't all be geniuses. We can't all enter the job market and get a position that does not dehumanize us. We can't all be the next hot new poet. Where does this come from? Who is it serving? What is being lost when we aspire to fulfill these roles? I'm worried when I see my students, undergrads, or when I hear high-schoolers ask about publishing. I think the ambition that I saw in MFAs when I was in them, is shifting to our undergrads, to high-schoolers, getting younger and younger. I'm worried that in this shift, the magic, or something, is being lost. Mind you, there is nothing wrong with ambition, but I'm worried if an entire generation is ambitious to a point that the magic is lost. ECM: What are your artistic influences outside of poetry? Who’s inspiring you right now? JZ: I love watching things on the screen. Maybe too much. Films and anime always help me with my creative work, as well as helping me relax. The latest series that gave me a poem was Dragon Ball Super. Fiction and essays really tap into my creativity. Kiese Laymon’s How To Slowly Kill Yourself and Others in America should be required reading. The new Alice James Books’ We’re On: A June Jordan Reader, is a necessary reminder that June is one of our most important voices. I always try to have an ear outside of the US, so I’m reading Valdivia by Chilean poet Galo Ghigliotto, translated by Daniel Bortzutzky. ECM: What are you working on now, or hoping to work on next? JZ: I don’t know what I’m working on. I’m trying to take it a page at a time. It’s a scary process, but one that reminds me of how I started writing, without any expectation of ever getting published. The act of writing is returning to me and me alone. Thinking of the public/private, I want to move towards the private more for quite some time. I hope that whatever is created rushes from the ground. 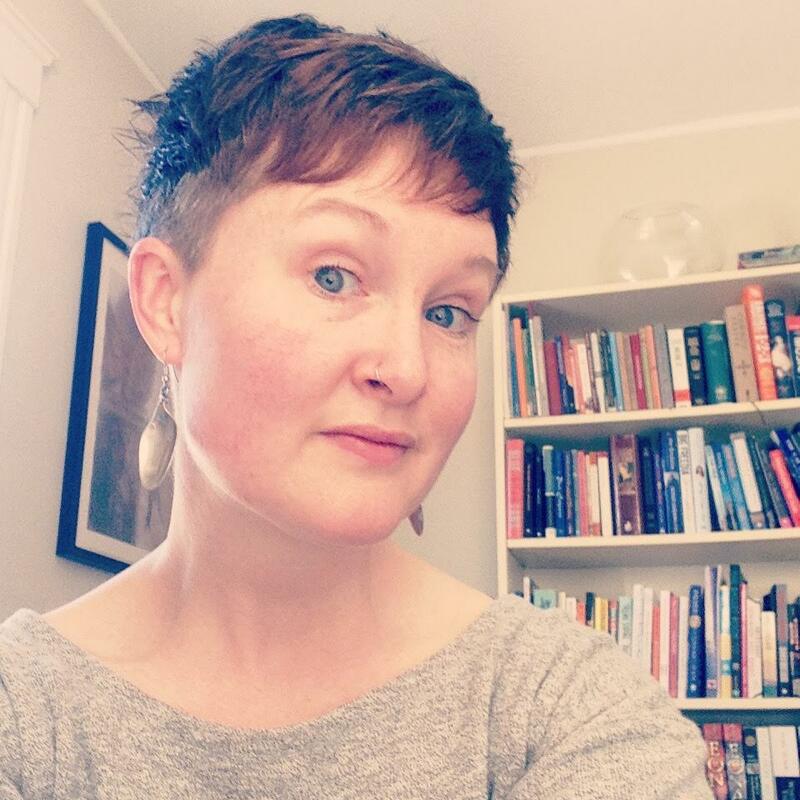 Erica Charis-Molling is a creative writing instructor for Berklee Online. Her writing has been published in Crab Fat, Broad!, FUSION, Anchor, Vinyl, Entropy, and Mezzo Cammin. She is currently the Eco-Justice Anthology Support Intern at Split This Rock's Eco-Justice Project supporting Ghost Fishing: An Eco-Justice Poetry Anthology. She’s an alum of the Bread Loaf Writers’ Conference and is currently pursuing her M.F.A. in Creative Writing at Antioch University.